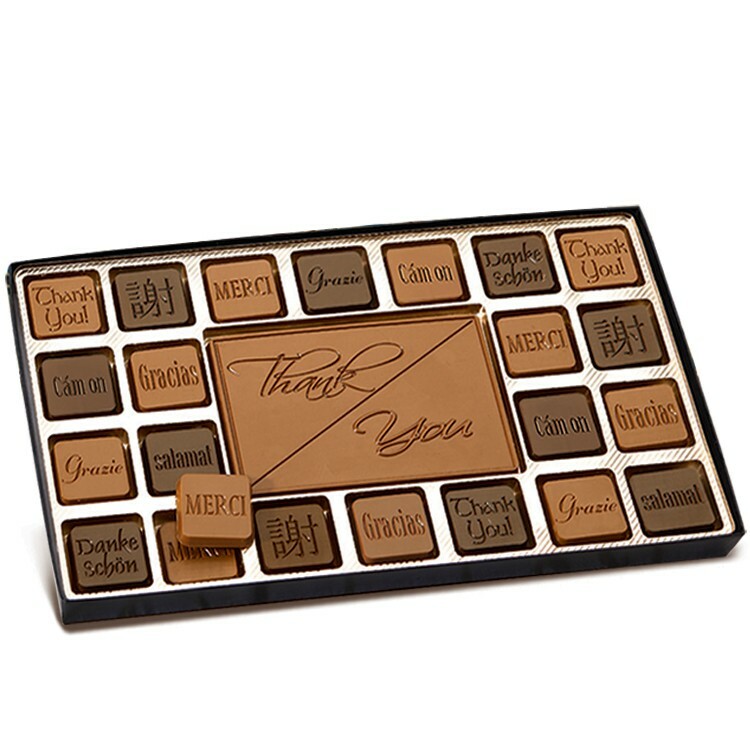 44 Delicious Milk and Dark Chocolate squares surrounding a 4" x 6" Thank You center. Each assortment weighs 16 oz. and is packaged in a gold gift box. 4"x6" milk chocolate center. Surrounding squares alternate between milk and dark chocolate.